While it is rare that Google’s latest Pixel duo faces any bootloop issues, the term has become synonymous with Android over the years. With the latest Android 8.0 Oreo, Google is promising to send a “Rescue Party” when a device is stuck in a loop. Fun times! Android 8.0 includes a feature that sends out a “rescue party” when it notices core system components stuck in crash loops. Rescue Party then escalates through a series of actions to recover the device. Once these issues are detected, the Android Oreo Rescue Party escalates to the next rescue level, processes the task to check if it can recover the device. “Each level is progressively more aggressive in what it clears or resets,” with the final one asking the user to bite the bullet and factory reset the device. Bootlooping is probably the most reported issue among Android users. Even the comparatively latest devices like Nexus 6P have experienced the problem to a massive extent. With phones becoming an important part of our lives, Google notes that it may not always be convenient to file support tickets or send the device in warranty where they can get stuck in a different kind of annoying loop between manufacturers and carriers. 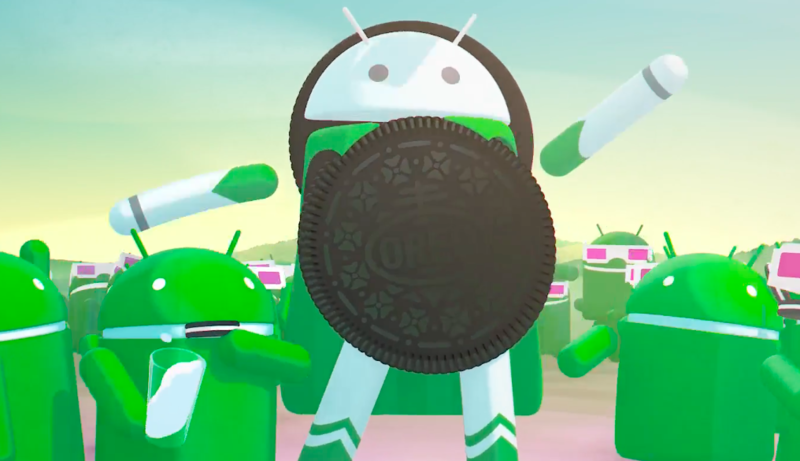 Google’s latest Android Oreo Rescue Party (this term sounds like a party of green bots – munching on Oreos, walking slowly like White Walkers, carrying hammers and stuff – is coming with the mission of fixing your phone!) will hopefully help Android users avoid any such bureaucratic loops. This pretty party won’t be able to fix any hardware-related issues though, but can at least help users get rid of the software-related reboot loops. Interested about this sweet version of Android? You can download and install it right away!